If you have ever tried to make a kids joke video, you know you have to have some silly sound effects and they are not always easy to find. Trust me, I made 101 kids jokes and each one needed a goofy sound. Sure there are also many other sound effects you need, be it a car crash, cows mooing, a creek flowing, you name it you need it at some point. 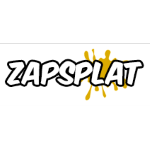 Well checkout Zap Splat as they have a lot of sound effects that you can use. You can even use them commercially. But, they do require attribution in the form of a mention or link. If you don’t want to have to add the attribution, then make a donation to their site and you are covered! Seriously, if you use sound effects, it is well worth it! And to top it off, their donations go to charity, so you and the charity get a win! They also have some music, although not much. The effects are easy to navigate as they have them categorized nicely. Could save you time from sorting through some of the other sites.